SSON explores the impact of the rise of robotic automation. They argue that the adoption of robotic technology in shared services, rather than reducing employment, requires that humans take a “leading role.” They offer five reasons that humans will necessarily play a role in the new model of services delivery, from interpreting data to managing customer relationships. KPMG’s Shared Services and Outsourcing Institute views automation as a “double-edged sword” for the sector – it is expected to expand the overall job market, but will disenfranchise particular workers and potentially exacerbate income inequality. Meanwhile the Institute notes that most current sourcing contracts were written prior to the impact of robotic process automation (RPA), and suggests that both providers and clients explore the value that could be created by incorporating RPA into current delivery models. Everest Group has a useful infographic on Service Delivery Automation (SDA), with key statistics on relevant market segments, buyers, and growth trajectory. On the SSONetwork, a transcript is available of an interview of two top leaders in sourcing and shared services – John Gregory of Kellogg’s and Andrea Schaffell of EMEA Shared Services. They offer lessons learned on how to stabilize recruitment through talent management, how to offer career development in the shared services center context, and how to encourage talent development in a flat organizational structure. Nearshore Americas highlights the need for more data scientists to support growing demand from the SMAC (social, mobile, analytics and cloud) segment. In Network World, Bob Violino argues that data security requires responsibility at all levels of an organization, not limited to management and formal security officers. Companies such as Johnson & Johnson in the healthcare field, where information security is critical, use “security crowdsourcing”: gathering intelligence feeds from a variety of internal and external sources. Nearshore Americas, meanwhile, highlights how increasing concerns about cybersecurity have driven the onshoring/reshoring phenomenon. And yet, they argue that the IT skills gap in the U.S. means this may present new opportunities for nearshore providers. Network World uses app development during New York’s Hurricane Sandy to illustrate how the cloud can help increase the speed and quality of app development. However, it brings up security and control issues that must be addressed. The IAOP has available for download a presentation on contracting for security by Ole Horsfeldt, Partner, Gorrissen Federspiel. 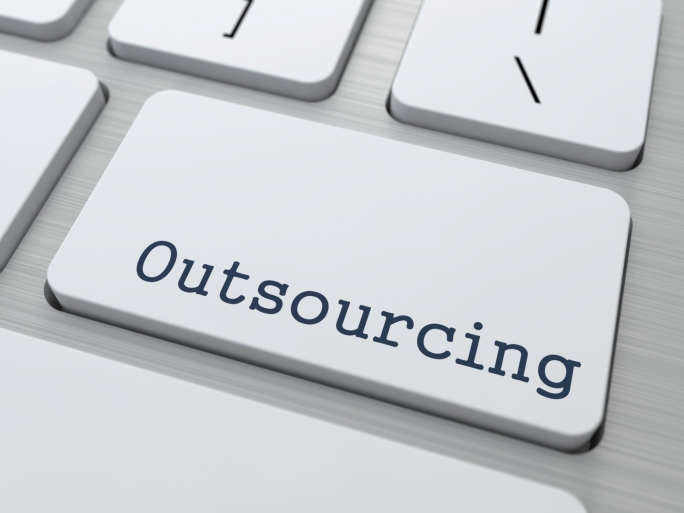 The presentation shares traditional and future contract clauses for outsourcing security. Gartner is offering an on-demand Webinar on Top Security Trends for 2014-2015, covering top business risks, security technologies and processes, and how to balance security and risk. In his CIO column, Esteban Herrera argues that while outsourcing providers often think in terms of selling technical solutions, their success depends more on fostering the human (provider-client) relationship. Stephanie Overby’s CIO column highlights five reasons current sourcing contracts might need to be renegotiated, including IT breakthroughs that require new approaches, as well as more traditional recalibrations based on performance or cost. Neo Group will host a Webinar on August 27 to explore the challenges and risks of transitions in the lifecycle of an outsourcing relationship. Nearshore Americas reports steady growth in contact center outsourcing, with Central America and the Caribbean leading the region, and predicts continued momentum through 2020. Everest Group concurs, reporting steady growth over the past five years and 5% growth in 2014. KPMG’s Shared Services and Outsourcing Institute report how social media has increased the importance of customer service for outsourcing clients, in turn increasing the value of contact centers and causing clients to think beyond phone and online chat support. The results of Deloitte Consulting’s 2015 Global Contact Center Survey are now available to download from IAOP. The report highlights the segment’s continued growth and the importance of customer experience as a competitive differentiator. IAOP has announced the 2015 Global Outsourcing 100, recognizing “leader” and “rising star” providers for growth, delivery excellence, innovation, and corporate social responsibility.